Incomplete or improperly filled out forms may be returned. Put your name and date of birth in the appropriate blanks. 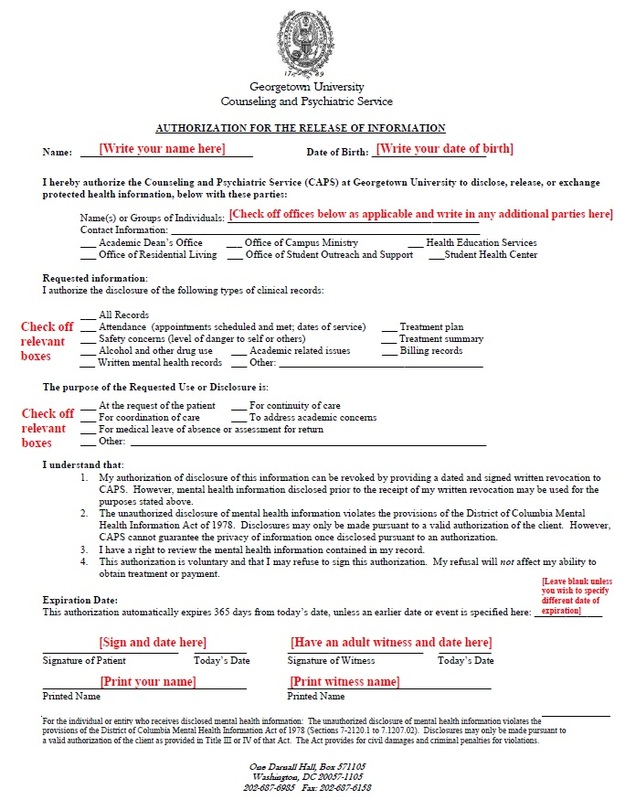 Where it says, “I hereby authorize the Counseling and Psychiatric Service at Georgetown University to exchange protected health information below with these parties:” enter the name and contact information of the individual with whom you would like CAPS to communicate ro check of the Georgetown office. Have a witness sign and date the form.